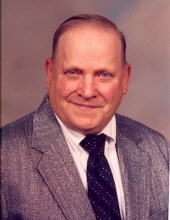 Donald Dean (Cole) Ball, age 87, of Boone, passed away on Saturday, November 3, 2018 at Eastern Star Masonic Home in Boone. A Funeral Service will be held at 11:00 A.M. on Saturday, November 10, 2018 at the Schroeder-Reimers Memorial Chapel at Sixth and Marshall in Boone with Pastor Janell Bloem officiating. Burial will be in the Mineral Ridge Cemetery in Ridgeport. Born on February 16, 1931 in Boone, Don was the son of Ephraim Amos Ball and Edna Victoria (Johnson) Cole and the stepson of James Ernest Cole. He attended school through the 8th grade, and then began farming. He served in the US Army from 1951-1952, then returned to Boone where he farmed in Dodge Township until 1986. Don lived in Boone until 1986 when he moved to Des Moines, returning to Boone in 1998. He was a member of the First Baptist Church in Boone and former member of Mineral Ridge Baptist Church in Ridgeport. Don enjoyed fishing, hunting and working in his shop. He was preceded in death by his parents; three brothers: Jim, Walter, and Raymond; two sisters: Sharon Cole and Alice (Joe) LeQuia; and brother-in-law, Rawleigh Mowrer. Don is survived by his sisters: Pearl Cole of Boone, Betty Mowrer of Boone, and Shirley Culberhouse of Roseburg, OR; and his nieces and nephews. Friends may call from 5-7:00 P.M. on Friday, November 9, 2018 at the Schroeder-Reimers Memorial Chapel in Boone. Visitation will resume at 10:00 A.M. on Saturday at the Chapel until the time of the service. To send flowers or a remembrance gift to the family of Donald Ball, please visit our Tribute Store. There will also be a one hour visitation before the service on Saturday. "Email Address" would like to share the life celebration of Donald Ball. Click on the "link" to go to share a favorite memory or leave a condolence message for the family.